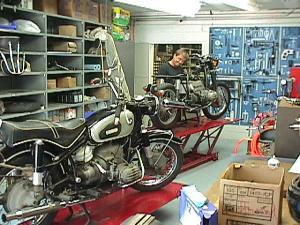 Re-Psycle is an INDEPENDENT Parts & Service shop, EXCLUSIVELY for BMW Motorcycles. 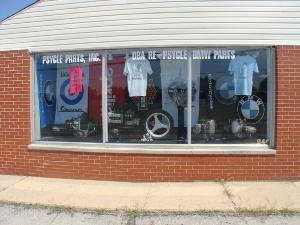 We have the most extensive New & Used BMW Parts & Accessories inventory in the mid-east. Additionally, because we have the knowledge, experience and expertise; you can be confident that we will supply you with all the right parts to successfully complete your service or repairs. Our sales staff is always ready to answer your questions and help you select the right Parts, Service or BMW Motorcycle for you. RICK, our Service Manager & Head Mechanic, in his usual environment: spinnin' wrenches and making Beemers PURRRRRR! He's made a sucessful recovery from serving 13 years as Service Manager at several L.A Dealerships. He's now enjoying the pastoral Zen splendor of Central Ohio and the Service Department at Re-Psycle! It’s our job to recognize the parts, negotiate a purchase, haul the parts back to our truck, load them up, bring them back, sort, clean, and stock them on our shelves until you need them. (It does have a side effect of sore muscles and some loss of sleep.) This year we felt a need to automate with a small motorcycle (of another brand) and a gardening cart. IT REALLY WORKED GREAT! 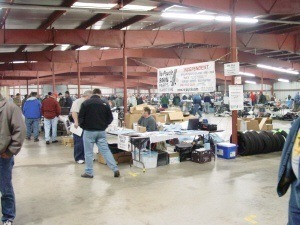 Another of the yearly Swap Meets we faithfully attend and scour for good used parts inventory for our customers is near Rockford IL. 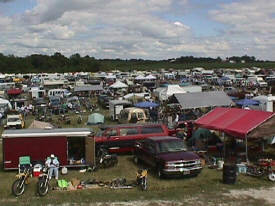 It is sponsored by the Chicago area Blackhawk Motorcycle Club, and is held inside a 20,000 square foot fairgrounds building. 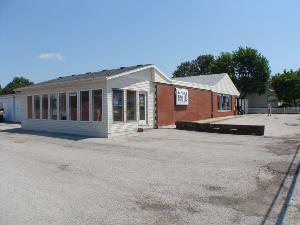 Every April, we load up our sales booth and wagon and fill the truck about 1/6 full of parts. 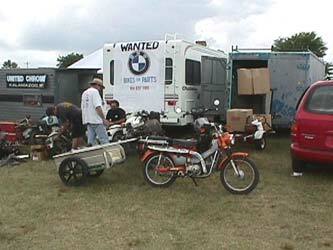 By the end of the swap meet, we usually have a full truck to bring back.